most people who love "classic" Las Vegas. 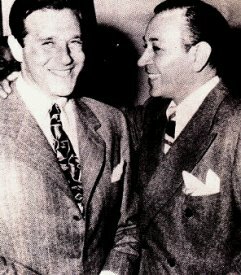 Benny Binion and Moe Dalitz and "Lefty" and "The Ant". Also, I will have autographed copies of my book "Las Vegas: 1905-1965"
for those interesting in purchasing one or more! that we have enough chairs! You can email me or post here, either way will work!